X is a fictionalised account of Malcolm X’s childhood and adolescence before he became known as Malcolm X. X is written by his daughter and that brings a unique aspect to the novel and at the end she writes about the differences between real life and the novel. I found X fascinating. As a book about any young man it’s gripping as he goes from a small town to Boston to then Harlem and all the interesting people he meets along the way – but when you factoring in the fact it’s Malcolm X’s life it becomes even more gripping. I’ve never really known much about Malcolm X so it was great learning more about him. X is a quick read as while it’s mostly in chronological order, following Malcolm from age 15, there’s often sections that jump back in time and place so you can see more about his childhood and how that influenced him. The themes of family and religion and how important they can be is weaved throughout the novel and makes certain moments have an emotional punch. 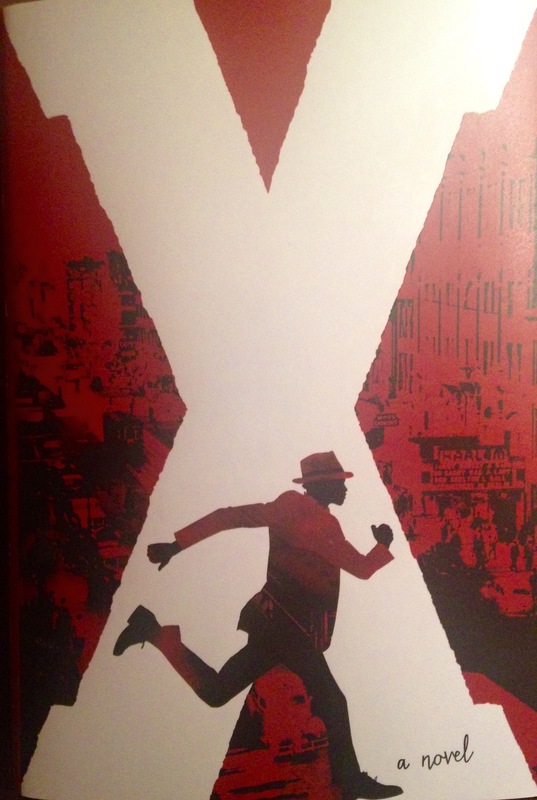 X is set from the late 1930’s to the 1960’s and it was fascinating to see a more personal take on that time and the abuse and discrimination that black people had to face. It can be shocking and upsetting but I think it’s an important part of history to remember. X is a fascinating read and an important one too if you want to know more about a great Civil Rights leader. It’s action packed and full of vibrant characters and humour and definitely worth reading. 5/5.